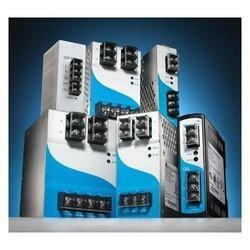 Pioneers in the industry, we offer digital power supply smps and ac power supply from India. We take pleasure to introduce ourselves as the renowned enterprise of quality assured Digital Power SMPS that requires high stability and safety protection functions. 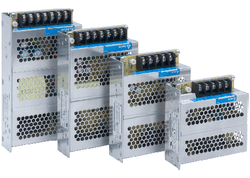 Offered SMPS is available from us on numerous technical specifications so as to fulfill the demand of customers. This SMPS is developed using the most-advanced technology & best components under the direction of experts. Our SMPS is tested on numerous parameters so as to deliver flawless range. The high tech ultra modern manufacturing facility at Delta enable it to produce power supply equipments in a wide range pertaining to temperature from -20 to + 75 degree centigrade with only 20 minutes minimum hold up time. The whole range of products is backed up by over voltage ,over load and thermal protection, which saves man power and cost.